Some of the world’s most widely used pesticides can be harmful to bees, according to the first large-scale studies aimed at measuring the impact of compounds called neonicotinoids on bees’ health. But the effects vary widely between different compounds and different countries, suggesting that more regional research will be needed to clarify the exact scale of the problem. Neonicotinoids, which are typically coated onto seeds before planting rather than being sprayed onto crop plants, were developed with the aim of harming only those animals that eat the plants. But they are also found in the pollen and nectar of treated plants, potentially affecting beneficial organisms like bees. Two papers published today in the journal Science report that neonicotinoids have negative effects on honey bees and wild bees in realistic field experiments. But the results are mixed and far from conclusive. The concern about neonicotinoids prompted the European Union to impose a temporary moratorium in 2013 on the use of three key pesticides. In contrast, New Zealand’s government has joined with Australia in not imposing a ban. I think our governments have made exactly the right decision at this time. One of the studies, led by Nadejda Tsvetkov at York University, Canada, indicates that chronic exposure to neonicotinoids reduces honey bees’ health near Canadian corn fields. This is consistent with many previous research findings showing that feeding on large amounts of neonicotinoids can be fatal to honey bee workers and queens. For bees given a smaller dose, their foraging becomes less efficient. They undertake reduced hygienic behaviour in the hive and their immune system seems to be impaired. And their tolerance of other stressors bees experience in their environment, in this case a fungicide, is reduced. The new Canadian study shows that field-realistic exposure to neonicotinoids can substantially reduce honey bees’ health. The other study, led by Ben Woodcock of Britain’s Natural Environment Research Council, describes research done on three different bee species in three different countries. It also attempted to use field-realistic exposure to neonicotinoids. Populations of honey bees, bumble bees and a solitary bee were followed in the United Kingdom, Hungary and Germany. The team examined two neonicotinoid pesticides, and found a fascinatingly mixed bag of results. Both pesticides resulted in significantly reduced numbers of honey bee eggs being produced in Hungary. But exposure to both pesticides in Germany resulted in significantly more eggs being produced. Neonicotinoids also seemed to result in higher numbers of workers surviving winter in Germany. In Hungary, fewer worker bees survived winter after exposure to one pesticide, but not the other. Similarly, in the United Kingdom, there were mostly negative but some positive effects of exposure to the different neonicotinoid pesticides. The take-home message is that different neonicotinoids can have different effects, which can be very specific to the country of use. After reading these results, if I were a grower in Germany, I might start to question the European Union’s temporary moratorium. These studies highlight the need for data to allow countries like New Zealand and Australia to effectively manage the use of neonicotinoid pesticides. We need to know the effects of neonicotinoids in our specific environmental conditions and in the way we use them. We also need to know what the effects would be if we took this group of pesticides away. I’ve read reports that growers in the UK have had to revert to broad-spectrum pesticides that are considered worse for the environment and mean they cannot grow certain crops. In 2013, the Australian government undertook a review of neonicotinoids and the health of honey bees. This concluded that “the introduction of the neonicotinoids has led to an overall reduction in the risks to the agricultural environment from the application of insecticides”. The review found little scientific evidence to show that the current use of neonicotinoids in Australia causes widespread harm to honey bees. The review stated that “the introduction of the neonicotinoid insecticides has brought a number of benefits, including that they are considerably less toxic to humans (and other mammals) than the organophosphorus and carbamate insecticides they have significantly replaced”. 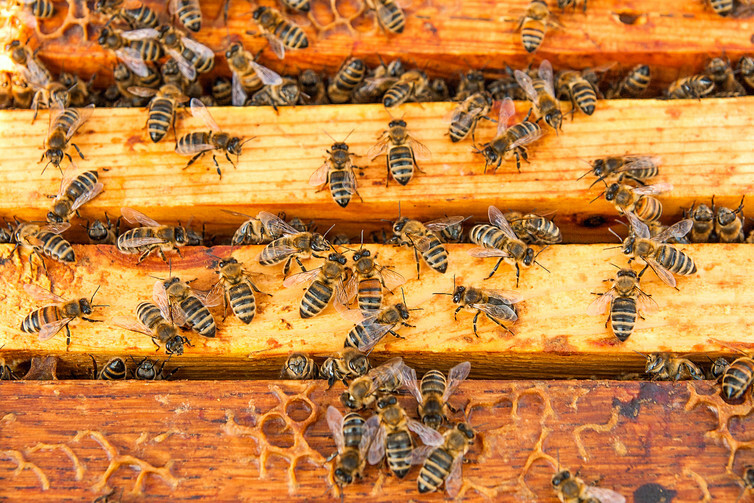 Honey bees in New Zealand have a plethora of known and scientifically demonstrated threats. These include invasive blood-sucking mites, and the deformed wing virus, which has been described as a key contributor to the collapse of bee colonies around the world. New Zealand’s bees have bacterial pathogens like American foulbrood that results in beekeepers having to burn their bees and hives. Fungal diseases are widespread. We also have management issues with the higher-than-ever numbers of managed hives, which are often managed poorly and often overstocked. These are real and known issues affecting our honey bees now. We have data on these problems that can guide their management. The new research will doubtless lead to calls from some quarters for Australia and New Zealand to ban neonicotinoid pesticides. I hope that the New Zealand and Australian governments act on studies like those published today, but I would be disappointed if that action was anything other than evidence- and science-based. Let’s gather the data specifically for each country, and then make a decision on whether and how to use these pesticides.